Several years ago, Batman personally put the Barrera family into hiding after they suffered through terrible experiments at the hands of an organization called the Ark. Now, all but one of them has turned up dead and Batman needs to locate Sofia Barrera before the wrong people get their hands on her! It’s time to call in Black Lightning, Katana, the Signal, and Orphan – The Outsiders! 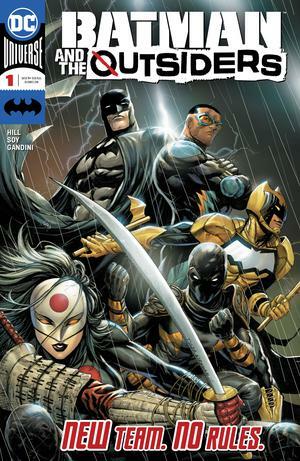 Writer Bryan Edward Hill teams up for artist Dexter Soy for Batman and the Outsiders!